moved to second place but are likely to be overrun but both Western United and Solomon Warriors. KOSSA had a better 90 minutes on the park with chances coming from Harrison Mala and Charlie Otainao but turning them into goals refused to happen much to the displeasure of their own bench. Marist, were able to mount quick counter-attacks through short passes but this was not topped by any worthy finishing. 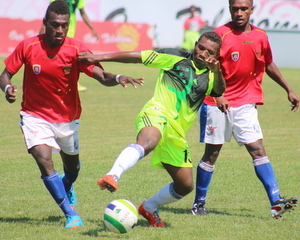 Marist will play Malaita Kingz in the next round of the competition while KOSSA are headed for a clash with Koloale.